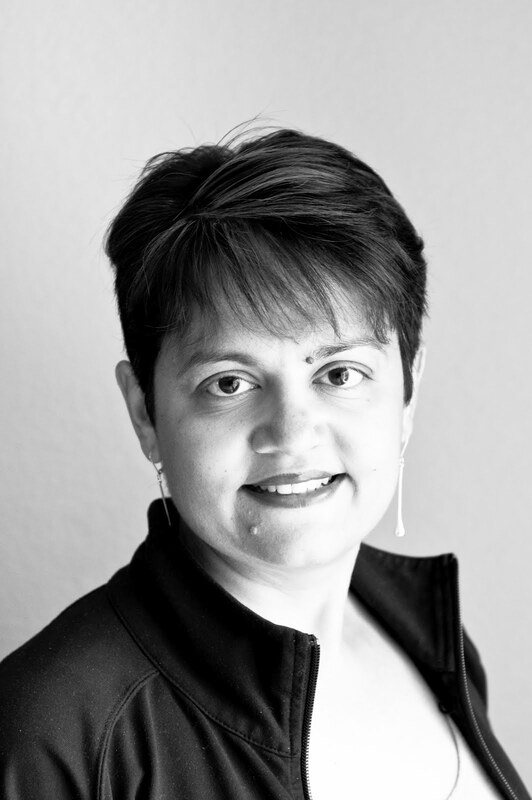 I'm Manisha, a small business strategist and entrepreneur. 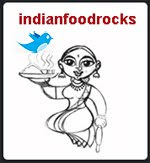 My food blog, Indian Food Rocks, is about my personal journey through life, spiced by eclectic Indian food and entertaining anecdotes. Apart from cruising the global kitchen, some of my obsessions include gazing at the Rockies, sneaking away on invigorating hikes, wielding my camera, knitting and crocheting, and dabbling in the concept of Voluntary Simplicity. I am also immersed in the challenge of raising a child while straddling two divergent cultures. It's taken almost nine years to create an About Me page. Largely because I don't like labels. I do, however, like stories. And food. Especially Indian food. I started writing this blog in March 2003, which makes me a dinosaur in the Internet era. I might as well be one because the first browser I used was Lynx, back in the early-90's. I have been on Blogger right from the start, when Pyra Labs first launched the blogging platform. There were no pictures nor were there any comments. There was no way of knowing if anyone read my blog. I cringe and laugh when I read my older posts but I have left them there as evidence of my journey and my growth, (here come some of the labels!) as a writer, an amateur photographer, a parent and most importantly, my relationship with food. I wrote a monthly column for the Whole Foods Market Cooking blog until it was folded back into the flagship blog. I have taught Indian Cooking Classes, as hands-on workshop, at the Home Cook Kitchen of the Auguste Escoffier School of Culinary Arts, Boulder. I teach private classes in your home kitchen in the Boulder area. Contact me for more information. The best way to get to know me is to read my blog, engage in the conversation, and interact with the little community I have built around my blog. Bring your food ideas to the conversation and let's bond over something we all enjoy! Nice to find your blog, Manisha. I am really impressed at the tenure of your presence in the blogging world! Looking forward to exploring your blog. Thespicysaffron, thank you! I am not a prolific blogger and probably have fewer posts than someone who started a couple of years ago. I have blogged when I can and have continued to enjoy the experience, especially when the feedback from readers, old and new, continues to remain gratifying. I hope to see you around! Came here through Flickr. You are indeed very frank, nice to know you. Will visit your blogs. Been following your blog for a number of years Manisha and have even tried (successfully, if I may add) some of the recipes you've shared, esp the ones under "chicken". Only stumbled on your recently updated (?) About Me page. Very nice to discover your blog. I love how you are exploring the great diversity in Indian food. Love your posts. The photos make them come alive. One q - what camera do you use for your photos? Mine died and I'm in the market for a new one. Thanks! Swapnil, I added it about a year ago! Thank you for your kind words! Please keep reading and commenting! thebackyardlemontree.com, thank you! I can never cover it all but I make sure I post our favorites! Pika Chu, for the past several years I have been using a Nikon D300s with my favorite lens 24-70mm f/2.8. Good luck with finding a camera that suits your needs! !I found your site while seeking information on Indian cooking. I love your posts and am delighted to see that you are local to me. AND will be offering classes in Indian cooking. Suzette, thank you! I offer private lessons, both one-on-one as well as for a group of 4-5 in your home kitchen, or you can find me at Escoffier. My next class is on Nov 1. I have found you and your wonderful food ... through Pinterest !! I am sure there are now thousands if not millions following and sharing your foods !! (Especial the lemon pickle with no oil ... If I was on a desert island and could eat only one thing ... THAT .... would be it !!! ) I shall now be following you morer closely and trying more of your fantastic ideas. Next comes the lime pickle ... if the sun holds out long enough !! Many thanks for your wonderful visuals too !! I am a Brit .. and I live in northern Portugal. I have to import the spices for all my Indian foods from the UK usually in my suitcase !! And like you . I LOVE hing ... yummmmm!